We’ve still got our fingers crossed for Taron Egerton’s new “fantasy biopic” Rocketman, which is currently positioning itself as the gaudy, debauch-heavy answer to so many recently stolid takes on the lives of famous musicians. 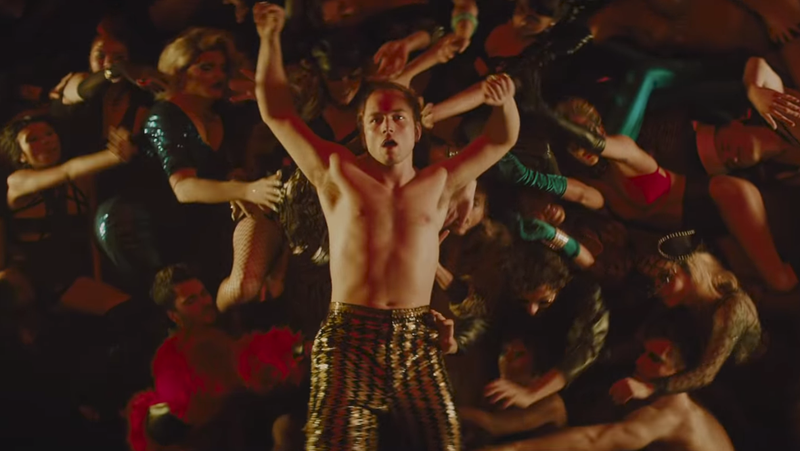 The Elton John-based project wowed us with its first trailer (and oaths to land firmly in R-rated territory), but it turns out we’ll have to make our way to France if we want to be the first ones to see if the movie can live up to its sequin-covered hype. This is per Variety, which reports that the Dexter Fletcher-directed film will have its world premiere this year at Cannes, where it’ll sit alongside such movies as Jim Jarmusch’s The Dead Don’t Die (and also a whole lot of other, more wholly independent movies, that aren’t about either drug-loving rock legends or the ravaging undead.) The film is being produced by John himself—which would normally be something of a death knell for the kind of gritty madness it’s promising, but we’ll have to wait and see—and will debut at the Cannes Film Festival next month, on May 16, ahead of a May 31 domestic release.